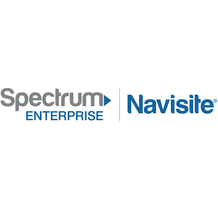 Navisite, LLC., a part of Spectrum Enterprise, is a leading international provider of enterprise-class, cloud-enabled hosting, managed applications and services. Navisite provides a full suite of reliable and scalable managed services, including Application, Cloud Desktop, Cloud Infrastructure and Hosting services for organizations looking to outsource IT infrastructures to help lower their capital and operational costs. Enterprise customers depend on Navisite for customized solutions, delivered through an international footprint of state-of-the-art data centers.